Welcome to another week of my series, What Makes Me Happy. Today, I'd like to introduce my readers to Rita C of Panoply. Hello, everyone! 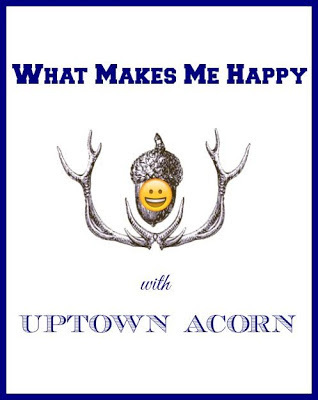 A note of gratitude to Ron of the Uptown Acorn for inviting me into his circle of readers and friends to share in his series of "What Makes Me Happy". I am Rita C of the lifestyle blog Panoply. My tagline on my blog header pretty much sums up what makes me happy: 'Life is a "wide-ranging and impressive array" of antiquing, thrifting, gardening, home decor and organization'. I truly believe happiness can only exist if found from within. With that said, family makes me happy. I grew up in a middle class family of nine kids, and even though our parents are gone, we still try to get together to support each other as much as we can in life events. Who I am today is a culmination of all my experiences past, and I am happy with my life and with seeing my kids now successfully adulting....family matters most! Music and dance make me happy. Ever since I can remember, music was always part of the household in which I lived, with just about every genre enjoyed, from country to classical (and many in between). The saying that one song can spark many memories is so true for me. 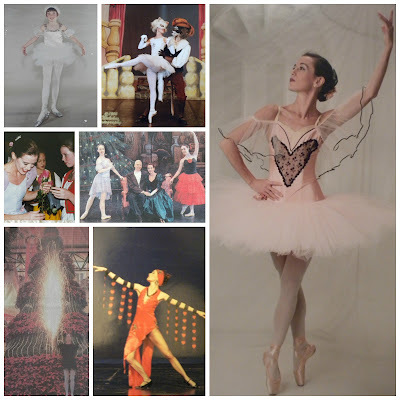 From my first recital to my last performance in our state's ballet company, my music and dance memories are primarily grounded in happiness, even when life was otherwise stressful with marriage, career, school and kids. From ballet, I transitioned into ballroom dancing, where Mr. P. (my [now] husband) & I became a couple. We've been dancing ever since. Happy feet, happy heart! Being active gives me a feeling of happiness, whether it's just by walking daily or overcoming fear by accomplishing seemingly scary activities for the first time. After nearly 20 years of focusing on ballet alone, getting scuba certified, paragliding, walking beneath a steel expansion bridge nearly 700' high, ziplining, snow skiing, and parasailing are some of the activities I have participated in and repeated for the zestful joy they bring me. Gardening grows the spirit, and working in the garden makes me happy. I especially love planting perennials to see the success in my garden in years following. 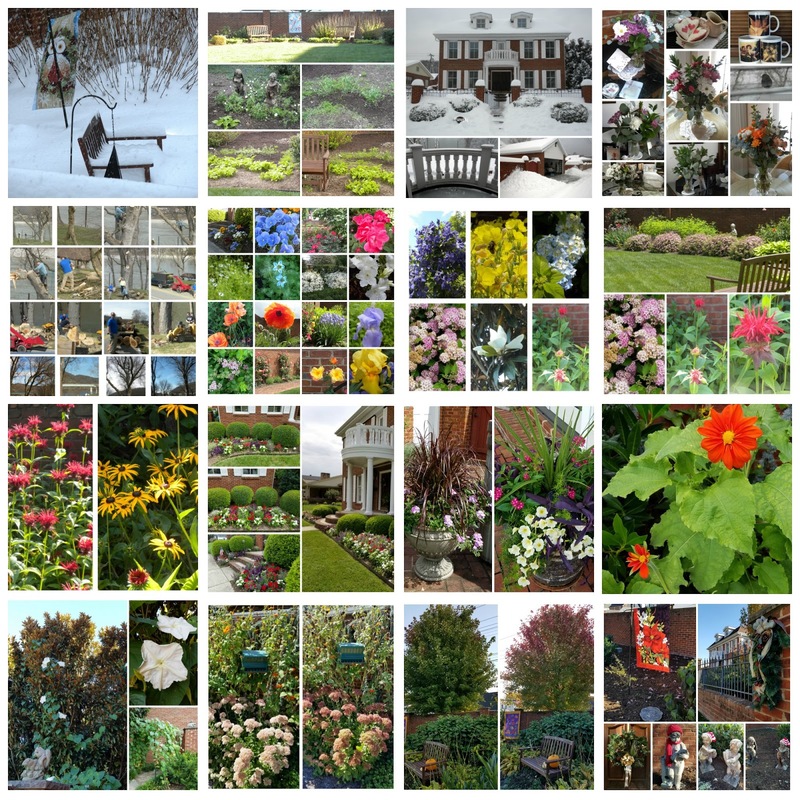 I live in West Virginia in a Zone 7a region and became a Master Gardener soon after we planted our current landscape in 2004, primarily for the self-sufficient knowledge base it provides. We enjoy all four seasons, pretty much in sync with the calendar dates of the seasons, and there's something to behold in the garden with each one. I have always enjoyed shopping, and always thought it would be great to be a professional, personal shopper. Though mostly retired, antiquing makes me happy because it fills that shopping desire, whether it's finding unique treasures for resale, repurpose or my personal end use. 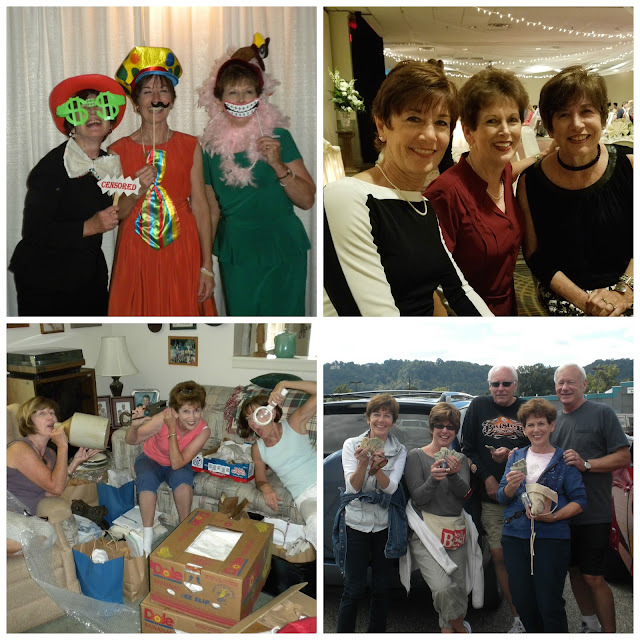 Creating Panoply (both my blog name and the name of my micro antiquing business) has brought many, many fun times for me, along with two of my six sisters. What started out from years of shopping and collecting individually, to cleaning out our deceased mother's personal possessions, to buying and selling together with others in mind, has given us more than a decade of happiness together, and still going strong. Staging the antique and vintage things we buy makes me happy. My sisters and I love creating vignettes, "rooms" and themes in rented spaces in our local antique mall. 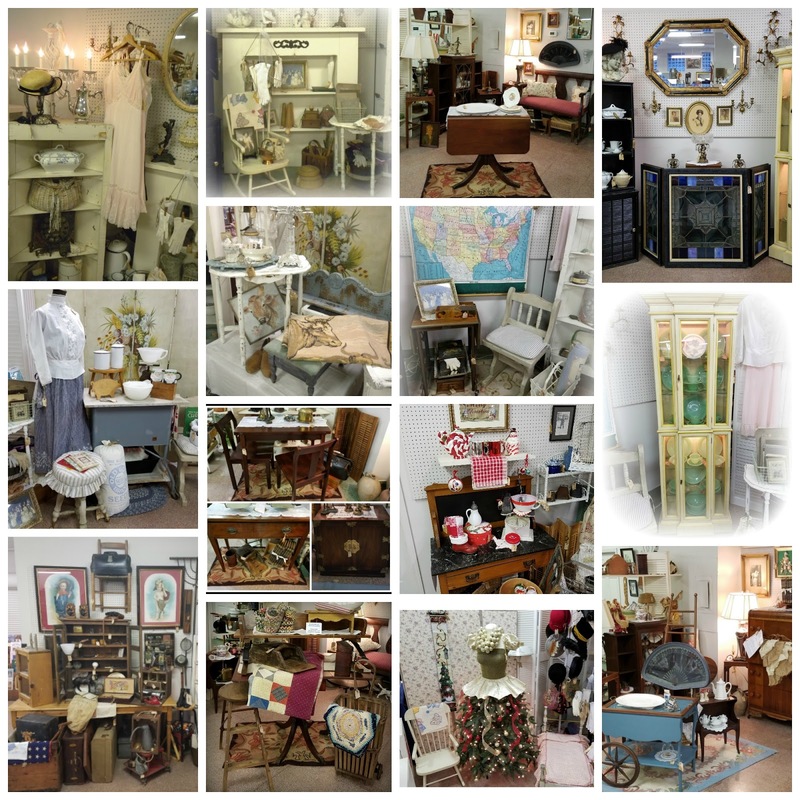 My blog started as a means to communicate all these vignettes with the one Panoply sister who lives out of town and can't be active in this aspect of our antiquing. The relationships that have grown from the blogging activity? A bonus of immeasurable happiness! As a Type A personality, a well-organized anything and everything makes me happy. 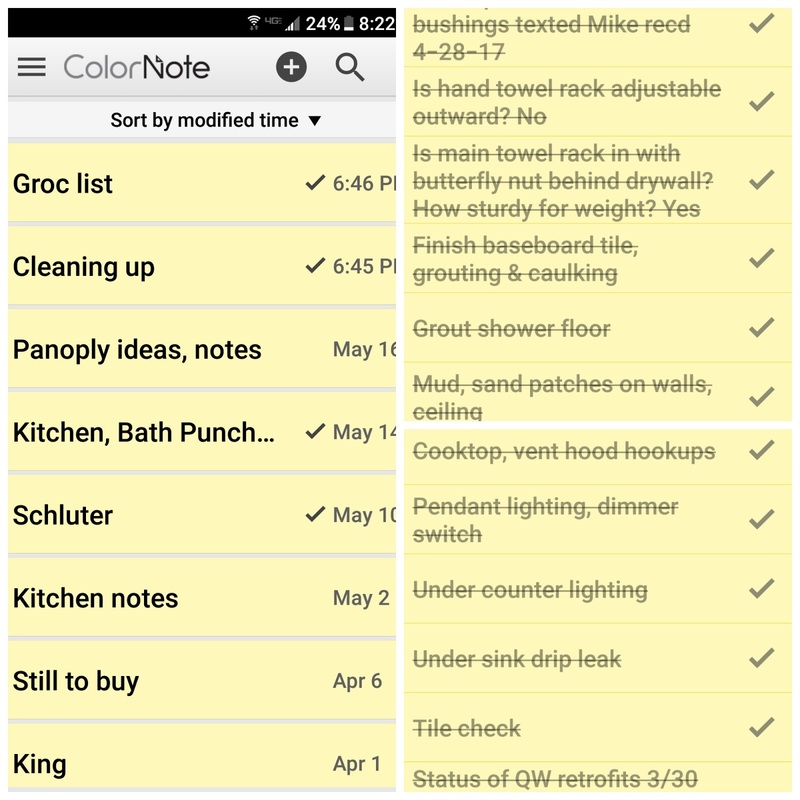 Organization and crossing off lists makes me happy, whether it's big, life event bucket lists, or piddly, everyday task lists! I use Excel to track anything involving numbers, and I now use an app to keep track of my many, former post-it note lists (the app lists are reusable!). Seeing all those strikethroughs within the individual lists? Happy! With that, I guess you can say I'm crossing this "What Makes Me Happy" blog post off my list of this week's to-do list (accomplishment = happy). Ron, thank you for this series and for the chance to grow my circle of virtual friends through this opportunity. To all of Ron's readers, you are always welcome to stop my blog, Panoply, and visit anytime! What Makes Panoply Happy, y'all! Ron, thank you again. I bet I know another thing that makes you happy, and that's when tropical storms leave your area. Take care, and I hope friends you know in the center of the storm are ok.
Ron, thank you for sharing Rita. I love reading her blog and I love reading "what makes her happy"! She enjoyis life and it always shows in her posts! I did learn something I didn't know, Rita was a ballerina...I did know that she loved,to dance! Rita is a true gem in the big world of blogging! Good Morning Ron and Rita. Love this so much my friend. Rita you are the sweetest and I love all your happy's! Your sweet and active soul shines and it is so fun to see how much you love your family and life you have carved out. So happy we are friends Rita. You make me happy just knowing you. Thanks Ron for having Rita here today. She is one of the sweetest bloggers out there. Happy summer. What a wonderful way to share gratitude and engage other bloggers Ron! I have been blogging buddies with Rita for a while but today I've learned so much more about her! I love her fearlessness and zest for organization, very inspiring! So glad you featured Rita today -- she has been a favorite ever since I discovered her a few years ago. Ron, thank you! This is a great series. Rita, it's now been a few years. I totally embrace your sense of style, fun and experience in antiques, gardening and organization. You make me envious, yet the way you write is so unpretentious. Bravo!!! 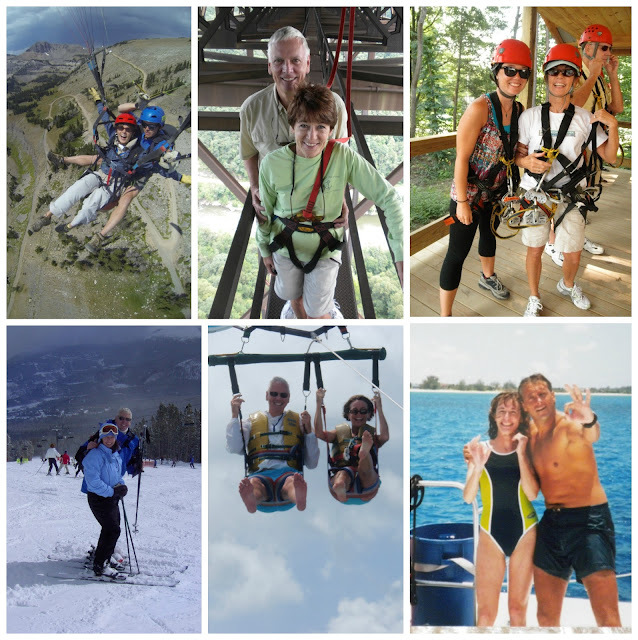 It's evident that you enjoy life to it's fullest! My legs got weak at the sight of you parachuting! I've always enjoyed your beautiful home. Looks like you have some beautifully cared for perennials and a gorgeous manicured lawn! Cheers to checking things off your lists! Ron, thank you for sharing this feature. Rita, you are a gal after my own heart! Music and dance so enrich one's life, don't they!!? I loved reading your mini autobiography. What a lovely danseur you made! I must ask who your favorite composer is? I have always loved Tchaikovsky, most specifically because of his famous ballets, which have always been among my favorites! Thank you for sharing this wonderful peek behind the scenes. It looks as though you dance through life, as well! Again, Ron, thank you, and thank you to all the readers who left comments here! Ron, what a fun series this is! I follow Rita and love her blog and following her many interests. Fun post!